Origin of name  Samuel Maverick named Montpelier, after his paternal grandmother, Catherine Coyer Maverick's, hometown in France (4). Samuel Maverick received in a land grant for 126 acres (4). 1800  House built around this time by Samuel Maverick to be his summer home. The house had tall columns and iron balconies (4). 1810  Samuel Maverick moved his family from Pendleton and made Montpelier their permanent residence (4). Samuel's wife died before the house burned. 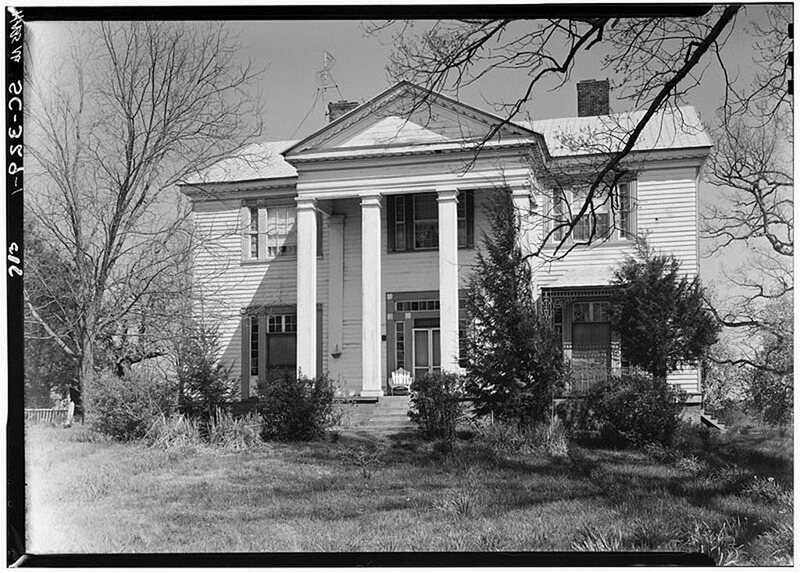 He along with his daughter Elizabeth and her husband William Van Wyck rebuilt the house (pictured above) that is still standing on a knoll near the original homesite (4). The family burying ground is on the property on a knoll 3/4 mile from the house. In 2013, three houses belonging to the Riggins family are on the plantation's property with plans for a fourth house to be built (6). Monica Bone shares, "I had my wedding reception right there in the front yard of Montpelier. There is a big oak tree right dead center of the front yard that Thomas Jefferson gave Samuel Maverick as a house warming gift. My husband and I bought 12 acres from the family so we can build near the plantation." "There are eight rooms in the main house and a big hallway with a grand staircase. The original doors still remain all over the house. There are double doors for all the exits in the downstairs rooms and main entrance. Maverick may have placed them to make the house look elegant but since he was in a wheelchair that could be why the doors that to go from room to room are so wide and tall." "The house also has its original floors. In one room you can get splinters in your feet if you are not careful. Such a beautiful home!"